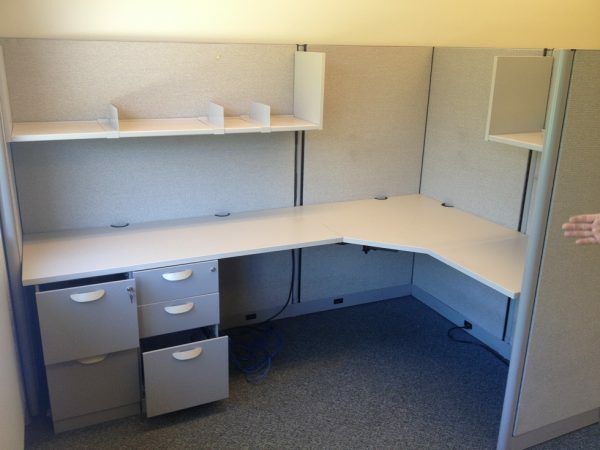 GF workstations with 65″ high panels. Primary size is 5×8 and 5.5×8. You can also build 5×5 and 5.5×5.5 and 7×7 and any combination. 90% of the panels are powered. Each station has a shelf, a locking BBF and FF pedestal. Lots of additional mobile pedestals too.